There are many issues which lay bare the subservience of Ireland’s political elite to the edicts of international capital. The bank guarantee of September 2008; the handing over of natural resources to multinationals; the miniscule tax rate levied on corporations; a crippling austerity agenda which continues to stunt the country’s economy – the list goes on. This week saw yet another bleak day in the state’s history when gombeenism ran roughshod over common decency. 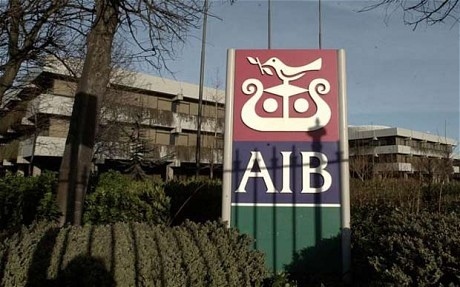 On Monday (October 1), €1 billion was handed over to unguaranteed, unsecured bondholders of Allied Irish Bank, which is 99% owned by the state, as part of a pitiful bid to appease “the markets”. The Fine Gael/Labour coalition has claimed ignorance over the identities of these and other similar recipients of Irish state funds, although the list is widely known to include financial institutions such as Goldman Sachs, Deutsche Bank and Barclay’s. By the end of this year, a total of more than €19 billion will be paid to speculators who gambled in the boom years and now refuse to take a loss. In 2013, more than €17 billion of state money will be squandered in the same way. This enormous transfer of wealth takes place against the backdrop of the largest spending cuts in the state’s history. In the demented political sphere of Ireland, where the nation’s economy is seen as a mere tool to service the needs of multi-national corporations, closing A&Es, reducing the wages of teachers and slashing allowances for disabled people are seen as “tough” decisions. Increasing corporation tax and forcing the super-rich to take a loss on their gambles are, apparently, weak decisions. A 15% unemployment rate on top of mass emigration, it seems, is the tolerable price to pay in the appeasement of “the markets”. Sacrifices must be made to save the European financial system, we have been told. For all their talk of “injustice” and “unfairness” earlier this year, the GAA stars who rallied behind disgraced former billionaire Séan Quinn have remained remarkably silent on this particular issue. The handing over of scarce public funds to nameless professional gamblers merits no public demonstration of anger from Joe Kernan, Mickey Harte or the others who chose to support a corrupt billionaire. Nor were they as outspoken when Ireland’s economic sovereignty was handed over to the IMF in 2010. Diarmuid O’Flynn, a hurling reporter for the Irish Examiner, has filled the void left by these sports stars and, of course, many other journalists. RTÉ, the national broadcaster, failed to report on Monday’s €1 billion bond payment. O’Flynn is one of the organisers of a weekly demonstration in his home village of Ballyhea in County Cork against the bondholder bailout. Now into its 84th week, the Ballyhea protest is a small glimpse of indignation among a population which has been renowned globally for its tame acceptance of harsh cutbacks. O’Flynn’s blog, Bondwatch Ireland, is an excellent source of information for those seeking to find out the true scale of the toxic debt plunged onto the nation’s shoulders. A result of meticulous research, the site details on a weekly basis the upcoming bond payments due at Ireland’s state-owned banks. Irish journalists should be well advised to consult the site. Many of the attempts to explain what caused Ireland’s economic collapse have been muddled, causing much confusion around the issue. Some commentators point to the “cute-hoorism” prevalent among the Irish ruling and political class, while others highlight the outright criminality which existed at the top of Ireland’s banking sector. All of these arguments carry weight, but ultimately fail to provide a thorough explanation. Ireland’s problems transcend its own national boundaries. Although all of the above were certainly contributing factors, the country’s collapse was part of a global calamity. Since the 1970s, capitalism was transformed from its Keynesian model towards a more radical neo-liberal one. Trade union influence diminished, financial markets were deregulated and public assets were privatised. Ireland was long touted as the “success story” of this economic arrangement. The rise of neo-liberalism saw an unprecedented concentration of the world’s wealth into increasingly fewer hands. The demise of trade union movements in much of the west resulted in falling and stagnating wages for most workers. In order to make up for the loss of income, people were forced to take on ruinous amounts of debt to secure some of life’s basics, most notably in Ireland’s case, a home. The bursting of this credit bubble was inevitable. In 2011, the British TUC released a report revealing the extent to which the incomes of workers had stagnated. It was found that UK workers would be earning a combined total of £60 billion more had wages increased in proportion to the growth of the wider economy. The same is true in many other countries. In the United States, the Irish bourgeoisie’s ideological home, this inequality occurs to an unnerving degree. The poorest 50% of Americans own a mere 1% of their country’s wealth, while the richest 1% own more than 34%. Or, to put in another way; the richest 1% of Americans own 34 times more wealth than half of all the American population combined. One family, the Waltons, who own Wal Mart, now possesses more wealth than the bottom 40% of Americans. Such is the economic model our rulers aspire to. During the boom years, with its unregulated financial markets and low tax rates for corporations, Ireland was held up as the poster boy of neo-liberal capitalism. The Celtic Tiger ran riot as the worst off in society were left behind. On 24 September, the Simon Community reported that homelessness has increased in Dublin, with more than 2,600 people seeking the housing charity’s assistance. This situation continues alongside the sordid spectacle of up to 400,000 empty homes scattered around the country – many of them owned by the state’s ‘bad bank’, NAMA. Just as many of Ireland’s problems were rooted in a global system, so too do the seeds of a solution lie in other parts of the world. Although afflicted with a notoriously parochial political system, the population would do well to note the actions of people in other parts of Europe. Following its own crisis in 2008, Iceland refused to repay the debts accumulated by private banks, to the fury of the neo-liberal “experts” and “the markets”. Depositors’ money was guaranteed but private investors were forced to take a loss. These are real “tough” decisions. Iceland now has an unemployment rate which is less than half that of Ireland’s, and a growth rate of 3%. This political courage needs to be combined with the resistance of the kind shown by trade union movements in Greece, Spain and Portugal. Neutered as it is by a subservient ‘social partnership’ model, the Irish trade union movement, with honourable exceptions of course, has so far failed to inspire mass action. The leadership of the Irish Congress of Trade Unions even refused to take a position on the EU Austerity Treaty in May. Ireland’s socialisation of private losses is a national scandal which remains so far under-reported. It’s astounding that many fail to make the connection between this and the array of cuts to public services taking place right now.